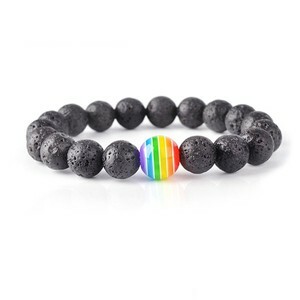 * This rainbow beads bracelet is perfect for telling relationship,a good choice for dating someone. Over time,we also open the decoration accessories,like key chains with jewelry materail. Package We use good quality carton to protect the items from damage. Zhaoqing Idea Gift Co., Ltd.
they have plenty of inspiration and idea from all over the world ,they provide customers leading style of the jewelry world currently . Also can make sample according to buyers' designs. 3.Product range from necklaces ,bracelets ,earrings ,brooches,keychains, etc . 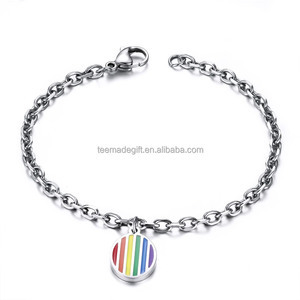 Alibaba.com offers 938 gay pride jewelry products. About 59% of these are stainless steel jewelry, 25% are bracelets & bangles, and 6% are zinc alloy jewelry. 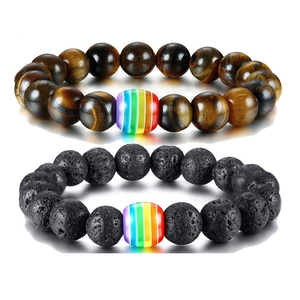 A wide variety of gay pride jewelry options are available to you, such as free samples, paid samples. 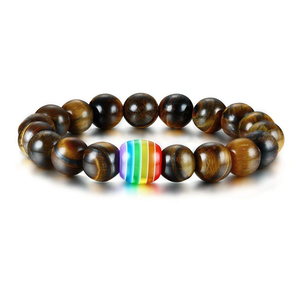 There are 861 gay pride jewelry suppliers, mainly located in Asia. The top supplying countries are China (Mainland), India, and Taiwan, which supply 99%, 1%, and 1% of gay pride jewelry respectively. 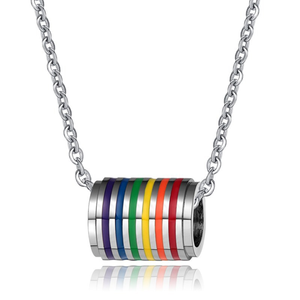 Gay pride jewelry products are most popular in North America, Western Europe, and South America. You can ensure product safety by selecting from certified suppliers, including 30 with Other, 4 with ISO9001, and 3 with BSCI certification.